Home » Carpenter Bus Blog » Para-Transit Bus or Not a Para-Transit Bus? There has been a steady increase in the need for non-emergency medical transport based on the needs of those with disabilities trying to get to/from doctor’s appointments and routine hospital visits. In addition to the medical use of these shuttle buses, those with disabilities have also enjoyed the ability to be more mobile and make trips simply for pleasure. Buying a wheelchair accessible vehicle is a major decision, but it’s important to know that almost any type of vehicle can be modified for wheelchair users. Aside from safety, just remember what is most important is your mobility independence. A necessity to wheelchair users, para-transit vehicles provide safe, secure and reliable transportation. Serious injuries can, and have occurred, when a wheelchair user attempts to get in and out of a non-accessible vehicle. This can be avoided all together with the proper vehicle and by following all the safety process involved in loading and unloading from a vehicle. One distinction of para-transit vehicle is that they generally have a more rugged frame and suspension to support the additional weight of the lift, as well as the wheelchair and passengers on board. Additionally, they have higher roofs, for overhead clearance through doorways and inside the vehicle, which is required for ADA compliance. Also, they usually have a wheelchair lift and some can seat up to 15 passengers. The low-floor design allows riders with limited mobility easier entry and exit by removing the need to climb stairs in the vehicle. Furthermore, the floors inside of a para-transit bus are raised floors to accommodate the wheelchair itself. 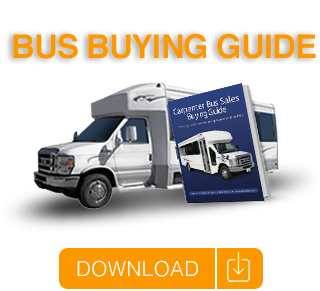 The team at Carpenter Bus Sales understands that purchasing a para-transit vehicle is a huge decision. However, with their incomparable customer service and stellar sales team, they will help you make an informed decision about the type of vehicle that best fits your lifestyle. They’ve built their reputation by offering some of the safest and most dependable handicap vans in the industry.